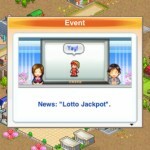 Venture Towns ($2.99) by Kairosoft Co.,Ltd Venture Towns ($2.99) by Kairosoft Co., Ltd. is yet another simulation game, this time a bit more similar to the previous title, Oh! Edo Towns, which we also reviewed. 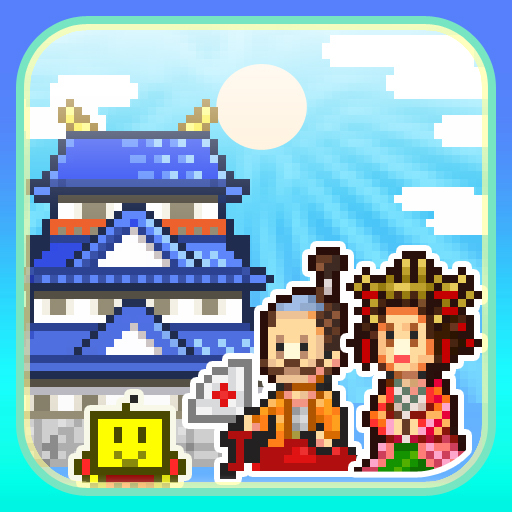 This time, however, rather than creating a samurai town, you are creating a metropolis. Think of it this way – it’s a modern day version of Edo Towns. When you start the game, you can choose from five different maps, name your first resident, and then it starts from there. 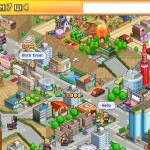 The game will give you hints, tips, and tricks as you play, so understanding the game isn’t hard to do. If you’ve played Oh! Edo Towns, then you will be familiar with how Venture Towns is laid out. 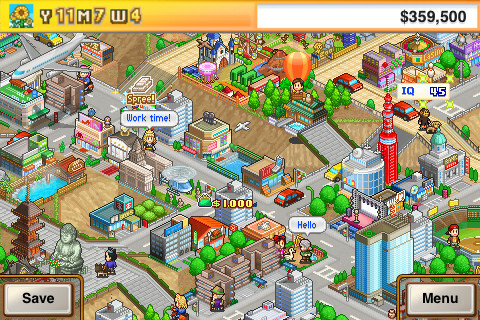 It is essentially the same map grid, and you must place roads to connect them with the various buildings and structures that you want in your city. Everything is done through the menus and by tapping on the grid. If you rather not use the conventional touch controls, tapping on the arrow at the bottom will bring up the optional D-Pad. 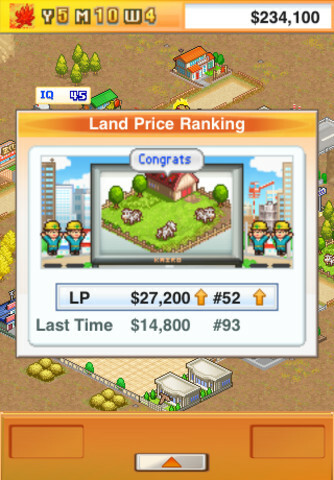 As your little town gets bigger and gets “upgraded,” more roads and buildings will be available to you, and you can always “research” other buildings, given that you have the allotted points to do so. 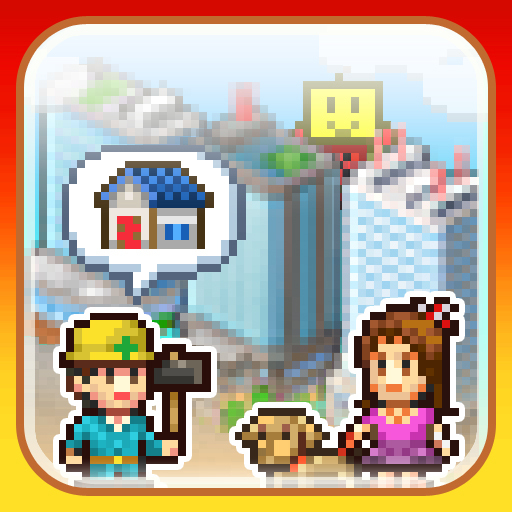 Having vacant buildings will attract more people to your city, and having office buildings will give your residents jobs, which will give them money to spend at shops (sometimes they go on a spree), thus boosting the economy. Since this is basically Oh! 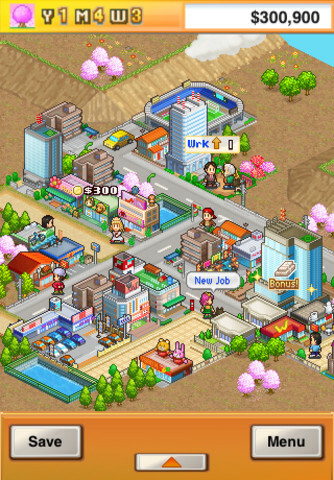 Edo Towns in a modern setting, the “Farming” and “Loyalty” attributes have been replaced with “IQ” and “Work.” Your residents will work daily in order to get the money they need for cars, homes, and pets. 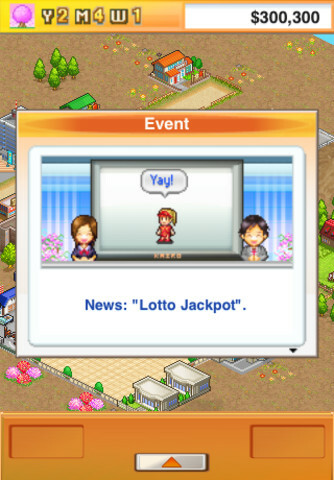 Since this is modern, there’s even a lotto, and one of your residents can win big. 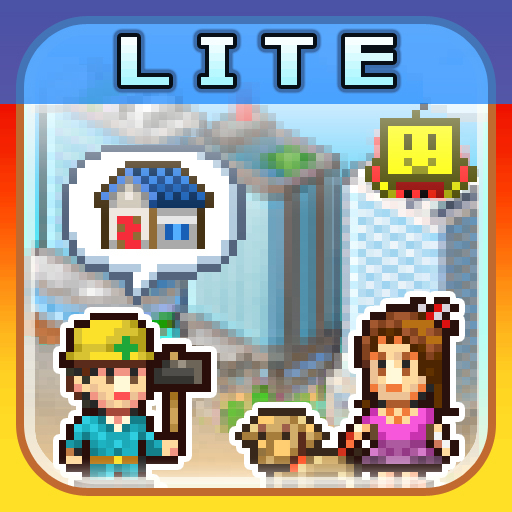 Like with their other titles, placing specific buildings next to each other will give you combos. This is a great thing because a combo will not only bring in more money from shoppers, but it will boost the overall land price. Of course, the real fun lies with finding out what these combos are, and using them to your advantage. 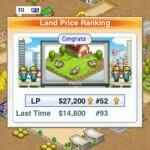 The goal is to rank first in the annual rankings, which is determined by your land’s value. 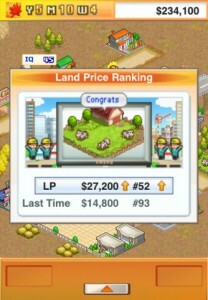 So to get there, you’re going to have to figure out a strategy to make your land worth a lot of money. 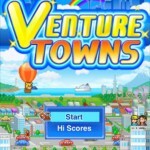 Overall, I found Venture Towns to be decent. If you liked Oh! Edo Towns, then you’ll probably like this one. However, if you thought Edo Towns was a bit slow, then the same applies here. 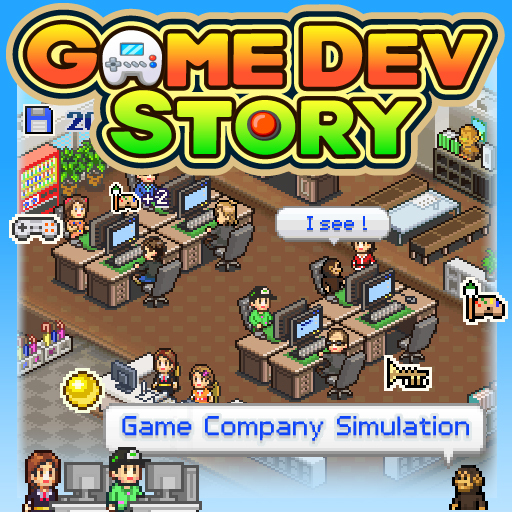 Personally, Edo Towns and Venture Towns haven’t grasped me the way the original Game Dev Story did (and even Mega Mall Story). 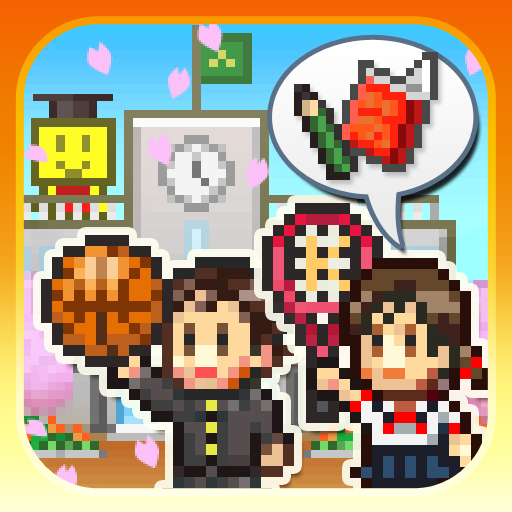 I hope that Kairosoft can release something that is as good as Game Dev Story sometime soon, because their latest releases have all felt about the same (Pocket Academy, Oh! Edo Towns, and now Venture Towns). 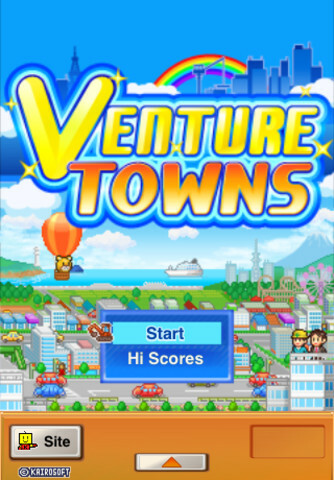 If you think you will like Venture Towns more than I do, then there’s also a Lite version in the App Store. I’d recommend picking it up if you want to try before you buy.